Just outside of the beltline is the city and neighborhood of Brookhaven, a North Atlanta vicinity filled with large, expensive homes and a selection of elite schools. While historic houses in the neighborhood date back to the early 1900s, the vicinity is also filled with new construction to support its growing population. While about 49,000 residents live in the city of Brookhaven, around 9,834 people live within the Brookhaven neighborhood. A mansion is a popular style in the Brookhaven neighborhood and most are valued at around $592,686. However, renovated bungalow styles and midcentury modern ranch homes are also available to meet the needs of residents who wish to spend less. While a small condo or townhome may also be purchased for around $100k, those amenities such as gated security will sell for closer to $400k. Luxury properties in the city of Brookhaven may sell for around $1 million. Thirty-five percent of real estate in Brookhaven is valued at more than $750k, while 34 percent is valued between $400 and $749k. Around 17 percent of houses sell for between $200k and $399k, while 13 percent sell for between $100k and $199k. Only two percent of houses in the area sell for less than $99k. While owner financed properties account for 60 percent of all real estate in the vicinity, 40 percent of structures are rented. For instance, apartments are available for around $1,612 a month, depending on the size of the space and the specific housing complex. Rentals found in the Windsor at Brookhaven range between $1,100 and $2,675 per month, while Aventine at Ashford Apartments may charge between $670 and $1,200 for the unit. However, paying at least $1000 a month is common in Brookhaven, as around 34 percent of renters pay between $1,500 and $1,999 for their rent. Around 33 percent pay between $1,000 and $1,400, while only five percent pay less than $500 per month. Only two percent pay between $500 a month and $1,000. Moreover, the suburbs of Brookhaven are rarely affected by instances of violent crime or property crime, as only two counts of burglary and one count of theft was reported in the past year. 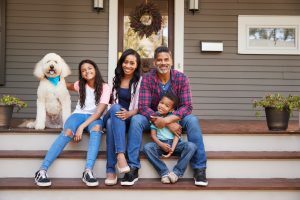 Additionally, the suburb of Brookhaven is the 10th– safest neighborhood in the city of Atlanta and the 17th-best vicinity in Atlanta to raise a family. Those who own or rent real estate in Brookhaven tend to be college educated, as 46 percent of residents hold a bachelor’s degree and 33 percent have a master’s or higher degree. About 13 percent have an associate’s degree or some college education, while six percent hold a high school diploma. Only two percent of residents did not finish high school. Moreover, the median household income in Brookhaven is $122,993, with 33 percent of residents earning more than $150k per year and 31 percent receiving an annual salary of between $75k and $149k. Chamblee Charter High School – An elite charter school serving grades nine through 12. DeKalb School of the Arts – A public magnet school serving grades eight through 12. Atlanta Neighborhood Charter School, Middle and Elementary Campuses – Two public charter schools serving grades six through eight and kindergarten through fifth grade. Dekalb Early College Academy – A top-rated public school serving grades nine through 12. Within the perimeter of Brookhaven, racial diversity is not as prevalent as in other parts of Atlanta, as 83 percent of residents are white, five percent are African American, five percent are Hispanic and five percent are Asian. Only two percent of residents are two or more races. For those who live in properties within the Brookhaven area, local attractions may include a trip to the Brookhaven Country Club Lake, Oglethorpe University and the Capital City Country Club. Weekend activities around the Brookhaven area may include seeing a movie at the AMC Phipps Plaza 14, purchasing fresh produce at the Buford Highway Farmer’s Market or visiting CineBistro at Town Brookhaven, an upscale cinema. Local restaurants include Avellino’s Pizza, Chin Chin Chinese Restaurant, Café Vendôme, Fadó Irish Pub Atlanta and Taxco Mexican Restaurant. Local retailers include Publix, Barnes & Noble Booksellers, General Hardware, Lowe’s and Carithers Florist. While the Beltline does not currently connect to the neighborhood of Brookhaven, the vicinity is only a few miles from The Perimeter Center, Atlanta’s largest business district. The business district is home to The Perimeter Mall as well as multiple hotels, lofts and housing complexes. As for public transportation, MARTA (the Metropolitan Atlanta Rapid Transit Authority) is very accessible by Brookhaven residents, as the Brookhaven/Oglethorpe Station is conveniently located on the Gold Line. Connecting bus routes include North Druid Hills Road (8), Peachtree Industrial Boulevard/Johnson Ferry (25) and I-85 Access Road/Briarwood Road (47).